S. Fletcher Weyburn, Weyburn-Wyborn genealogy, , at https://archive.org/stream/weyburnwyborngen00weyb . New York: Frank Allaben Genealogical Co., (1911) , p. 23. S. Fletcher Weyburn, Weyburn-Wyborn genealogy, , at https://archive.org/stream/weyburnwyborngen00weyb . New York: Frank Allaben Genealogical Co., (1911) , p. 21. 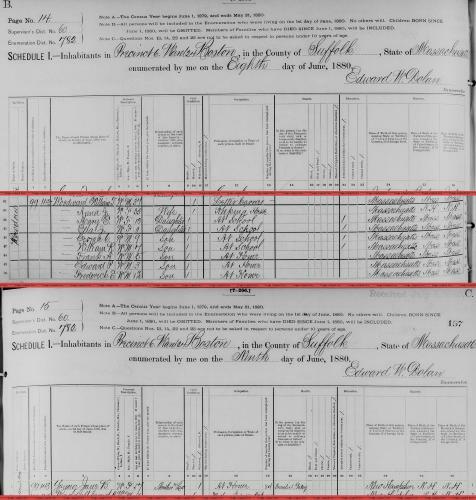 "United States Census, 1920," database with images, FamilySearch (https://familysearch.org/ark:/61903/1:1:MX1H-2CQ : accessed 20 December 2016), Frank M Wyman, Melrose Ward 7, Middlesex, Massachusetts, United States; citing enumeration district ED 345, sheet 14B, line 66, family 299, NARA microfilm publication T625 (Washington D.C.: National Archives and Records Administration, 1992), roll 715; FHL microfilm 1,820,715. "New York, New York City Marriage Records, 1829-1940," database, FamilySearch (https://familysearch.org/ark:/61903/1:1:24QF-255 : 20 March 2015), Frank Melvin Wyman and Marian Louise Tirrell, 24 May 1916; citing Marriage, Manhattan, New York, New York, United States, New York City Municipal Archives, New York; FHL microfilm 1,614,519. Massachusetts Vital Records, 1841-1910, , Vol: 326 ; Page: 239. 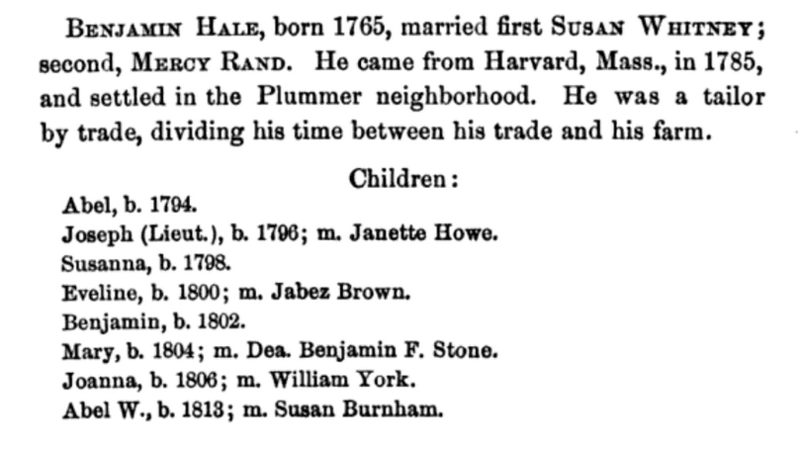 Theodore Parker, Genealogy and biographical notes of John Parker of Lexington and his descendants: Showing his earlier ancestry in America from Dea. Thomas Parker of Reading, Mass., from 1635 to 1893, Worcester, Mass. : Press of Charles Hamilton, (1893) , p. 173. 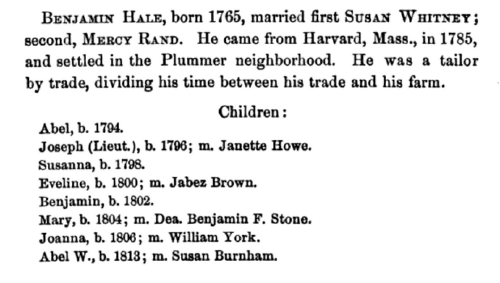 Vital Records of Waltham, Massachusetts, to the Year 1850, New-England historic genealogical society, at the charge of the Eddy town-record fund, (1904) , p. 246. Jake Wysocki is online at https://www.facebook.com/jake00. 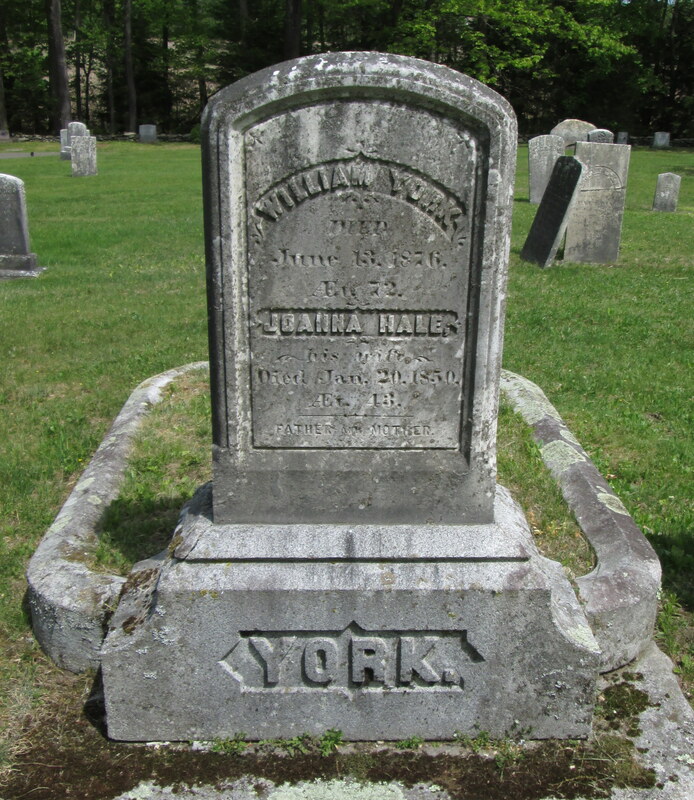 He may have died before 1850, as he is not listed with the family in the census. John R. Eastman, History of the town of Andover New hampshire, 1751-1906, Concord, N. H.: Printed by the Rumford printing company, (1910) , p. 896. Find A Grave Memorial# 111582449. Mary A. York was born perhaps about 1834 in Roxbury, Massachusetts. 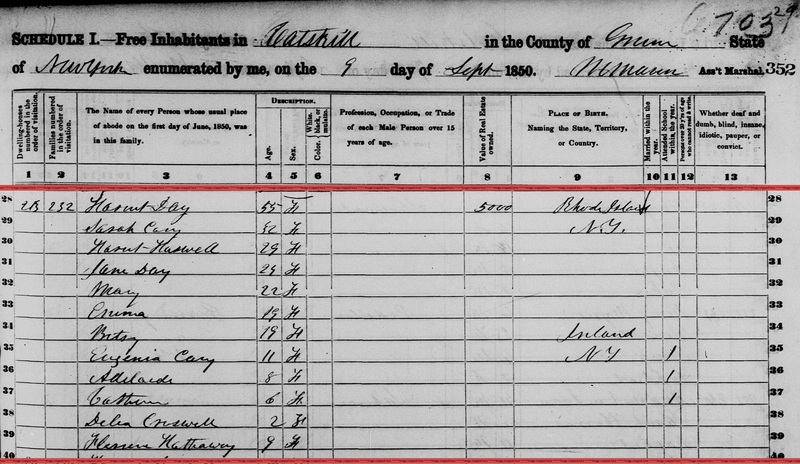 "United States Census, 1910," database with images, FamilySearch (https://familysearch.org/ark:/61903/1:1:M22K-6ZS : 20 October 2015), Mary S York, Lunenburg, Worcester, Massachusetts, United States; citing enumeration district (ED) ED 1777, sheet 4A, NARA microfilm publication T624 (Washington, D.C.: National Archives and Records Administration, n.d.); FHL microfilm 1,374,642. 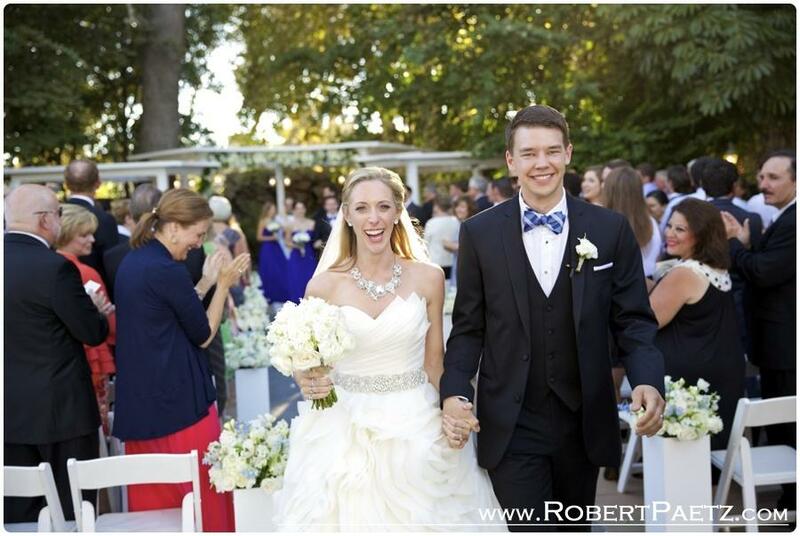 Roxbury (Mass. ), Vital records of Roxbury, Massachusetts, to the end of the year 1849, Salem, Mass. : Essex Institute, (1925) , Vol. 2, p. 447. 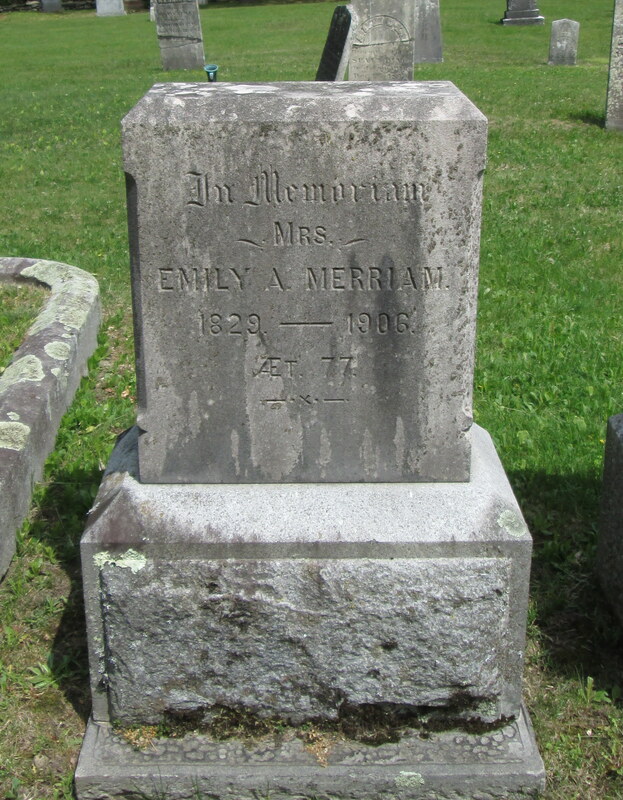 Find A Grave Memorial# 111583948. 1850 United States. Census Office. 7th census, Population schedules of the seventh census of the United States, 1850, Washington, District of Columbia: National Archives. Central Plains Region, (1964) , Census Place: Waterford, Sweden and Denmark, Oxford, Maine; Roll: M432_262; Page: 177A; Image: 345.